“My goal here in Virginia is to create a very good, authentic Buddhist studies center where people can learn meditation and Buddhist knowledge. I have a vision of a center that will last for many, many generations. Here in Lexington you have a military school that is 175 years old and is still running very well, as is Washington and Lee, which was founded over 250 years ago. My vision is similar. I’m not interested in teachings that developed lately, where someone claims that the Buddha taught something somewhere, but nobody has any proof. Here I’m organizing a center where the Dharma will be transmitted in the form of meditation according to the Buddha’s teachings, and philosophical studies according to the Buddha’s teachings. Not dialectical and not ritualistic, like in Tibetan monasteries; and not New Age either. Simple and authentic, set up in a simple way that society will naturally find acceptable. When I say that we will be focusing on the Buddha’s teachings, I mean that the main philosophical focus is on teachings that the historic Buddha gave to humans on this earth, primarily sutras. Lojong, or Mind Training, will continue to be the main focus of the practice curriculum because it involves a good deal of meditation and I’ve packed everything into it. 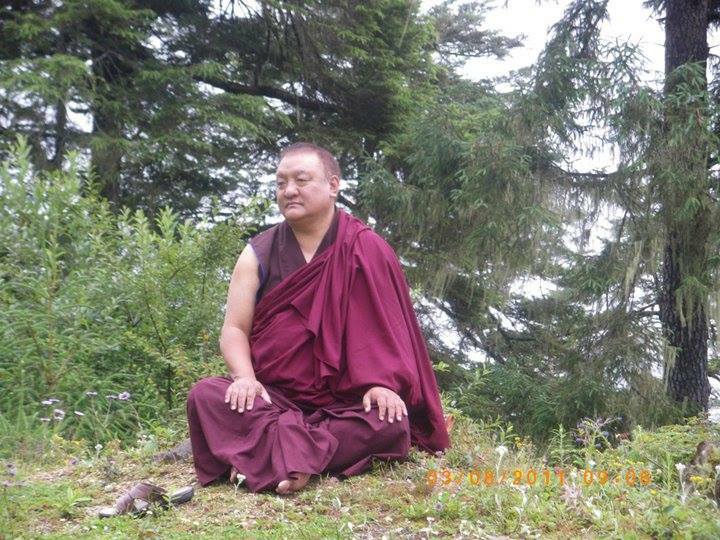 And of course we will continue to teach practices such as Chenrezig because they are also quite helpful. The Matching Campaign means as of today, any donor of funds to Wisdom Foundation through January 31, 2017, will be matched dollar for dollar up to a total of $50,000. Including the matching donation, the organization has a great opportunity to raise at least $100,000! The total estimated need to complete the RSS is $185,000. Wisdom Foundation is the non-profit organization founded by Shamar Rinpoche, which organizes the Bodhi Path Buddhist Centers. All donations to Wisdom Foundation, a non-profit 501(c)(3) religious church organization, are tax-deductible to the fullest extent permitted by law. 4) Donate stock. Stock is received through Edward Jones. Please call us beforehand, and consult your professional advisors. Thank you everyone for all you do year around for Bodhi Path as a caring student or organizer. We are all fortunate to have such a community of people in our lives.